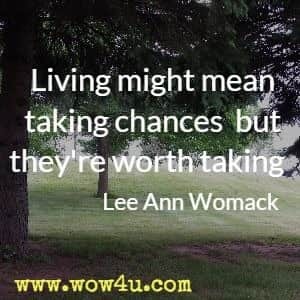 Let these taking chance quotes encourage you to be all you can be. 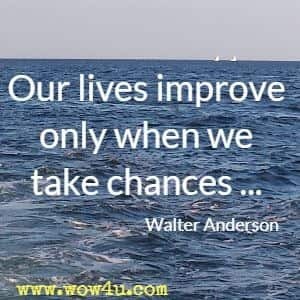 Everyday of our life by the decisions we make involves chance. May these words of wisdom inspire you. 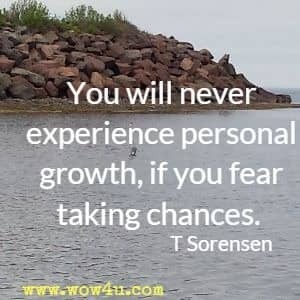 You will never experience personal growth, if you fear taking chances. T Sorensen, Where's My Purse? There is no failure except in no longer trying, there no defeat except in not getting up one more time, there is no unsolvable problems except the once we refuse handle and pay the price. Okorote Emmanuel, Don't Take Care; Take The Chance! 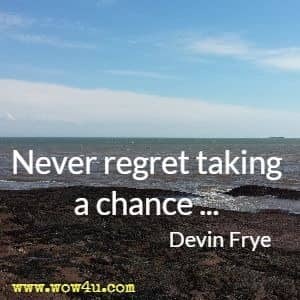 In case you never get a second chance: don't be afraid! 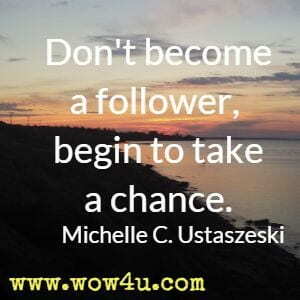 And what if you do get a second chance? You take it! C. JoyBell C.